EDITOR'S NOTE: This is the fourth in a series of articles about national security by participants in the upcoming Aspen Security Forum. Security Clearance is a media sponsor of the event, which is taking place from July 25-28 in Aspen, Colorado. CNN Intelligence Correspondent Suzanne Kelly talks with former Department of Homeland Security Secretary Michael Chertoff on how well the country is prepared for cyber and biological terror attacks. Secretary Chertoff now works in the private sector and as head of The Chertoff Group, which advises clients on current security needs within government. CNN'S SUZANNE KELLY: What worries you most when it comes to potential terror attacks? FORMER DHS SECRETARY MICHAEL CHERTOFF: I break it into two categories: things that could easily happen next week or next month, those relatively small scale attacks, for example, like Times Square or a shooting incident like the one involving Nidal Hasan. There is always a persistent threat out there and we know with what's been coming out of Yemen in the last two to three years, that they are still focused on carrying out these attacks. From a higher standpoint, the cyber and biological attacks are particularly concerning because there is a lot of attention being paid now because of cyber espionage and attempted cyber attacks on control systems and I think that is likely to cause terrorists or nation-state actors to focus attacks on critical infrastructure using the Internet. The fact that there is discussion about it also draws attention to it. KELLY: That sounds like a double-edged sword. You have to tell people about the threat, but are you then also increasing the risk of something happening by doing so? CHERTOFF: That's an interesting question, because there's always a push for putting the vulnerabilities out in public so that people can understand the risks. On the other hand, if you are overly specific, you might be giving the bad guys a road map. We used to try to balance the threat with a high level of generality when we were talking about it, but still keeping the details that would give specific ways to build weapons or carry out attacks, confidential. KELLY: There hasn't been a great deal of discussion of late about the threat of biological attacks, does that mean the threat has in any way diminished? CHERTOFF: No. We had the Anthrax attack in 2001, not from al Qaeda, but nevertheless, it caused the loss of lives and it could have been al Qaeda. We know terrorists scheme and that they have shown interest in using biological weapons. There is no reason to believe people have lost interest in this. The fact that they haven't done it yet doesn't mean we shouldn't keep the pressure up, but the raw material for making a biological weapons is not hard to get. It's all about the know-how and the ability to execute. Unlike a nuclear bomb, which carries a fairly heavy risk and requires the knowledge and capability to build one, a biological attack is well-suited for small groups. 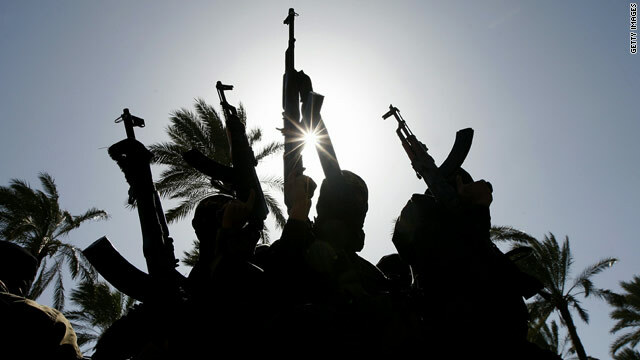 KELLY: Do you think that recent counterterrorism efforts have made it any harder for terrorists to carry out attacks? It seems for a while that there was a lot of luck involved in some of these attacks failing for technical or "operator-error" reasons, if you will. Are they changing their tactics? CHERTOFF: I think we've seen both here and in the UK that the terrorists have had a hard time getting operatives into the U.S., so now they are focusing on recruiting Americans or permanent residents and training them in South Asia or Yemen or there is also training taking place using the Internet. They can avoid our border controls by using people already in place. KELLY: You and I spoke several months ago about your serious concerns over a potential biological attack. Do you remain as concerned about that? CHERTOFF: I do and I think in general when you look at the budgets, again, there's been a tendency to underfund biological detection and response. We do have stockpiles of countermeasures available, but getting them into the hands of the people who need it has been hard. I've been a believer that we ought to be taking a lot of the medicine and distributing it to them in advance, to schools, fire fighters and first responders, even individual families and frankly, the FDA is very resistant to that because their belief is that they are prescription medication, so you have to see a doctor first, but in a catastrophic attack, there aren't going to be enough doctors. Someone needs to take a really hard look at the plan and see what the gaps are in the bio attack planning and I believe, at least get medicines out to points around the country where they could be quickly distributed. KELLY: When we look at the organizational issues when it comes to DHS, what are your concerns? CHERTOFF: There are always going to be organizational concerns and people asking, "Is DHS where it needs to be?" CHERTOFF: I don't believe in a lot of reorganizing. Every time you reorganize, you end up losing a lot of time. What we tried to do at DHS and still do – it's a little bit of a work in progress – is to build up acquisition procurement and management resources. This is not the glamorous stuff, but in the long run, to have a good disciplined system for acquisitions and deployment, you need to have people who know how to run these kinds of programs, putting out contracts, setting requirements and implementing them - that is still a very worthwhile objective. If you have a clear idea of what you need, then you buy what you need. If you don't have a clear idea, you tend to buy what people sell you. So to be really efficient, it's good to know in advance if you have a plan or strategy about what to acquire. Remember the position of Van Jones and Cup in today's Crossfire episode (Ruth Marcus and Bill Kristol). If CNN deviates from this position, please send me an email. Quote and post all official mainstream media positions for all popular issues on December 18th – 20th. Hold the media accountable. hey charlie seattle. the nukes are allready here. 50s cold war tech,for sure,but the real nuke dererant-suitcase nukes,we had/have them in china and russia,they have them here. the old ones 6 cases,200lb.s each. nolonger fissiable,but dirty dirty dirty. think if one of those had been used during 9-11,not planes.wallstreet,all n.y. hit by ion pulse. dod est. 200 -500000 deaths. chertoff-no different than any beltway suit. resume padder. Who is going to protect us from the U.S. terrorists and spying? I bet Chernoff or his buddies were huddled around the table to use their private companies to spy and continue erode the civil liberties of Americans and others, as they spread that type of democracy around the world. "What is the newest new's? Taliban say's that if we don't stop hitting them with drones they will deny their children the Polio vaccine. I say keep the drone strikes coming. Does anyone else see this as a win win deal? No future Taliban! Yay!" NO, you idiot!!. What type of mentality does a person have that thinks that any nation's children should suffer from polio?? And you wonder why your inhuman and arrogant mentality and disregard for other human beings' existence would excite them to rage?? How about you are the reason why abortions should remain legal, would you like people to want to stop your existence? Mustafa Kemal modern Turkey founder (1881-1938) KILLED thousands of Islamic clerics (imams, muftis,ullemas, sheiks, emirs, mullahs, etc) to transform Turkey into a secular state. Perhaps the same thing is needed today. Michael Chertoff is the ultimate patriot and model citizen. He has given many years of service to protecting the American people from terrorists both here and abroad. Lets all give thanks for this wonderful man and upstanding role model. Michael, I just want to say Thank You ! God Bless America ! 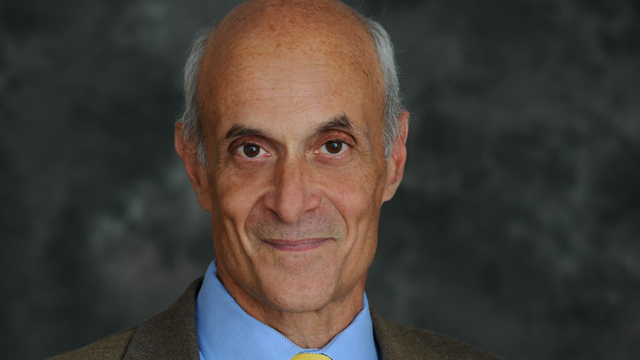 "Michael Chertoff is the ultimate patriot?" These people are responsible for the oppression, chaos, suffering, etc., which is on a global scale. I think your psychiatrist needs to adjust your meds or this is a propaganda post. That's an interesting perspective Jen. Would you care to back that up with facts? Judging from your other comments, you're angry at someone who doesn't share your point of view. Keep in mind that Mr. Chertoff and many others like him, have years of counter-terrorism / defense experience. The type of reaction you have to this interview is exactly the reason the majority of threat information is not shared with the public. It incites misplaced anger, fear and panic. I'll have much less to worry about when you stop terrorizing me. How the hell are they fooling anybody with this? By definition, A terrorist doesn't want to kill they want to terrorize. Right now, the only people terrorizing me live IN my community and government. Spying on everything that I do. following me, knowing every mundane detail about me then sending communications to my home often in what can be perceived in a threatening manner. They ARE the terrorist. How obvious does it have to be? I am 100% with you on this! People like Chernoff are the ones wanting to keep everyone in a perpetual mental state of terror, to inflict as much terror on the people as possible. They are the biggest liars and mass thieves, drug dealers, murderers, rapists, oppressors, etc.. at the top of the food chain. to many, there is nothing more terrorizing than death. In fact, that has been the "terrorist's" primary tactic for a long time. You may not like what you hear but what you do with the information is your decision. My suggestion is, don't blame Mr. Chertoff if you or someone you know ends up being terrorized because you failed to recognize the threat. It is very real. The cheapest way to eliminate terrorists is to pay BOUNTIES to Muslim women so they can get rid of Islamic clerics, terrorists and devout Muslims. Empowering Muslim women is the solution, if women are in control of Islamic societies and have the same absolute power as any emir, caliph or sultan, Muslim societies could have long lasting peace, freedom without discrimination. Don't forget that Osama Bin Laden was captured because he was betrayed by his wives. What is the newest new's? Taliban say's that if we don't stop hitting them with drones they will deny their children the Polio vaccine. I say keep the drone strikes coming. Does anyone else see this as a win win deal? No future Taliban! Yay! Even racked with Polio the Taliban will become adept at using AK-47's as clutches and wheelchairs as suicide vehicles. Yep, The Military Industrial Complex is alive and well, promoting the most expensive and useless devices while ignoring the obvious. Smuggling nuclear bombs through Obama's purposely lightly defended southern border. Cyber and biological attacks is your major #2 worry...Lol. you are thinking small! How about in the bottom of Yellowstone lake atop the thin 3 mile thick porous cork over the super volcano. I have sent this scenario to the Government, Bush, Obama, CIA, FBI, MSA, Homeland Security and many other people over the past 8 years. No one ever replied except Jake Lowenstern, USGS – Scientist-In-Charge At Yellowstone Observatory. He agreed the basic idea had merit but would >>not<< want to test it. People have ALWAYS believed we were in the last days since Jesus left the earth. Come on, people. Less worrying, more enjoying life. The answer to world's Islamic violence and madness is a MASSIVE CONVERSION OF MUSLIMS TO CHRISTIANITY, preferably to ANY Christian Arab church. The answer to world's Islamic violence and madness is a MASSIVE CONVERSION OF MUSLIMS INTO BODY BAGS! That seems less likely than a mass conversion of Christians to Muslims! Even with the threat of militant jihadism with all the dangers that come with it we must not live in fear or be afraid to go places or do things because of the jihadist enemy. For being afraid is the the enemy would like. Nevertheless, we still keep aware of our surounding for anything that seens not to look right. Then let the right people know about it . For example ,as in that attempted Times Square bombing. It's like in "What's wrong with this picture ?" As they say in the Department of Homeland Security "If you see something ,say something." To put it anther way, as Thomas Jefferson wrote "Let the eye of vigilance never be closed." s not difficult to find scoffers today in fulfillment of this prophecy. Even religious leaders are denying the plain Bible teachings of Creation, the Flood, the divinity of Christ, the second coming of Christ, and many other vital Bible truths. Psychiatry and the traditions of pseudo-intellectuals have replaced the Bible in many religious circles. "There shall come in the last days scoffers." 2 Peter 3:3. "They will not endure sound doctrine ... And they shall turn away their ears from the truth, and shall be turned unto fables." 2 Timothy 4:3, 4. "The hire of the labourers who have reaped down your fields, which is of you kept back by fraud, crieth: and the cries of them which have reaped are entered into the ears of the Lord." "Be ... patient ... for the coming of the Lord draweth nigh." James 5:4, 8. 0. How may we know when we have reached the very last days of earth's history? Does the Bible clearly describe the world and its people in the last generation? Answer: Yes, indeed it does. Look at the following specific signs of the last days. You will be amazed. And these are just a few of many, many positive signs that show we are in the closing days of earth's history. A pragmatic solution for Islamic violence is a MASSIVE CONVERSION OF MUSLIMS TO CHRISTIANITY or to any other religion except Islam. The best choice could be ANY of the Middle Eastern Arab CHRISTIAN churches which share the same language, culture and traditions as Muslims but NOT their satanic Islamic faith. Why don't you ask Chertoff how much money he made selling naked body scanners to airports and how many terrorists have been found with them (zero). While your at it, ask how he got the jobs, first at the United States DHS while maintaining citizenship in a foreign country, and his subsequent gov't naked body scanner contract. Then ask yourself if anyone cares what he thinks about terrorism with his seriously compromised ethics. Cyber and biological attacks is your major #2 worry...lol. you are thinking small. We are about to deliver F16 fighters to Egypt and the Muslim Brotherhood controlled leadership. Israel will have to upgrade accordingly. Ops, but they will be using our US aid tax dollars to do it. So I guess it is a break even deal for the US taxpayers and a Win, Win deal for the Military Industrial Complex. Never fear, Amit. Our greatest threat in the U.S. has nothing to do with weapons and everything to do with the fact that the 1% of U.S. citizens who have cached about 80% of U.S. currency and bullion, are putting "their" money out of the country in such locales as Switzerland and the Caymans. In fact, some of them are leaving with the wealth they've ripped off the rest of us. When the wealth is gone, so will be the Nation. You gy's see what CNN did for the Photo at the head of this article? They went down to florida waited for the perfect sunset, wrapped a couple of reporters heads in towel's gave them rubber AK-47's and shot a picture that doesn't identify any of their own people. They (glamorized a terrorizm picture) It just goes to show you how bad CNN wants that money. Just like the Trayvon thing. They only showed pictures of him at 12 years old, until someone spoke up and said,, (Show the world what Trayvon REALLY LOOKS LIKE! Freakin CNN. Causing wars for decades. Even more than any of the foreign origin Cyber threats, the greatest threat America and Europe face today is of internal origin.....mainly from the Muslim diaspora. Given that this man who has championed every Muslim cause the world over, and derided American democracy at every opportunity, is rumored to be the next US. Sec. of State in a 2nd Obama administration, we can only pray for America's safety! Secondly, the threat form the Muslim diaspora (particularly the Pakistani Diaspora) is very real and omnipresent given what one of Pakistan's top diplomats (NOT just another Pakistani Mullah!) said sometime back. Pakistan's High Commissioner to the UK Mr.Walid Shamsul Hassan said that "LONDON CAN SEE TERROR ATTACKS FROM THE OVER 1 MILLION PAKISTANI DIASPORA"! (Ref: Sunday Times Sept 8th 2008, and a 4 part BBC interview October 10th 2008 – Check it out on You Tube). Unless America and Europe takes care of these internal threats we can never be safe. The spread of technology and proliferation is the greatest challenge of our generation. YEA, STAY AFRAID....AND WE WILL KEEP YOU SAFE. ONLY THE GOVERMENT CAN PROTECT YOU. IF YOU DISAGREE BE PREPARED TO SUFFER INCARCERATION. THE TERRORIST WILL KILL YOU UNLESS YOU DO EXACTLY AS WE SAY. This so-called "threat of terrorism" is vastly overplayed by both the right-wing fanatics in Washington and the right-wing news media in order to scare the public. They seem to be quite successful at it. In plain truth, Al Qaeda has never been nearly as powerful as the right-wing media made it out to be!!! By right wing I hope you mean israeli controlled. Because people are waking up to that fact, and rapidly. The Military Industrial Complex does not think that lying to the American people about the capabilities of your enemies is a bad thing. Bush did a lovely job staging the 2nd Gulf War on lies about Saddam's WMD using his Weapons Of Mass Deception. usa has lost out to china so it keeps on sponsering terrorism it has lost against china at every level there isent anything left to lose out on. they onlything thats left is some person taking a flamthrower to a british kindergarten and reducing the british kids into burning skeletons now thats funny. No what's funny is how I f–ked your Chinese grandma while wearing an American flag as a cape. And she said "USA is best!" As she climaxed. F–k your whole chinese generation, all of your ancestors as far back as you can count. F–k them all, I hope they are burning in hell right now. Satan is no doubt skull f–king your chinese relatives in hell right now. The Chinese are just one generation off bicycles, they were not used to the new pollution levels that the rest of the world is accustomed too. Not really. But you know what is funny saeed? That your taliban buddies say that if we keep up the drone strikes you uneducated taliban will deny your children the polio vaccine. So this is a win win situation. We keep droning you and your taliban friends, and you kill off your kids, the future taliban. Thanks for doing that for the US.